We are uniting with a shared mission of upgrading financial infrastructure. Tokenizing assets creates a clear, instant, and elegant solution for otherwise complicated industries: smart contracts can make expertise accessible, lowering the barrier of entry for investors and disintermediating transactions. 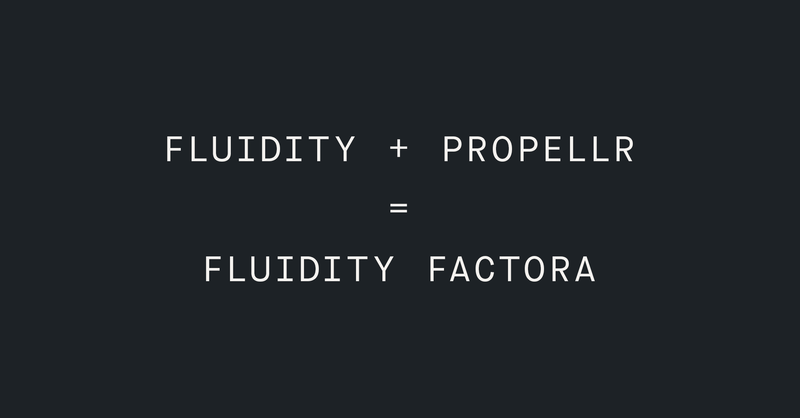 Today we are excited to announce that Propellr is becoming Fluidity Factora*. Together, we are taking complex financial assets, breaking them down into their basic factors, and encoding them to a blockchain. This enables standardization, transparency, and liquidity, making capital markets more efficient and reducing the need for expensive middlemen. Propellr is an end-to-end platform for creating, managing, and servicing digital assets with Propellr Securities, an integrated FINRA-registered broker dealer. The platform has placed more than $300m, making them an industry-ready partner from day one. Factora and AirSwap are an excellent complement of independent platforms and are uniquely positioned as a full-stack solution to tokenize and trade real-world assets. We’re ready to incorporate AirSwap and blockchain technology into regulated capital markets transactions. We’re excited to help push the blockchain world forward into this new forefront by using the fundamental technology to revolutionize the industries that need it.